Hôtel, 2-star hotel, Mediterranean sea, Cavalaire bay, French Riviera, Var. 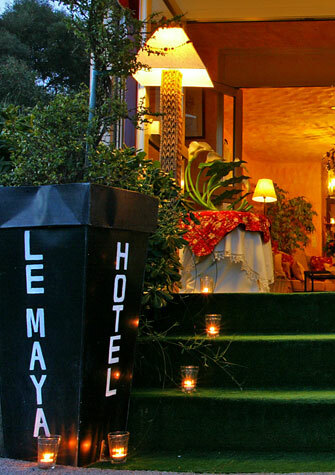 The Hotel Le Maya welcomes you at only a 5 minutes walk from the beach and the port and a 3 minutes walk from the town center and restaurants. The rooms : bathroom, WC. TV. direct telephone, balcony, air-conditioning and sound-proof windows. Elevator, breakfast, private parking, Wifi.